The importance of the upcoming inter-Korean summit has grown as the prospects for denuclearization and warming US-North Korea relations have hit a wall following the announcement that US Secretary of State Mike Pompeo cancelled his planned visit to North Korea. The inter-Korean summit, scheduled for September, may therefore help to break the current diplomatic impasse. “President Moon’s role has grown as a mediator to soften the stances of the US and the DPRK [abbreviation for North Korea’s formal name], and help bring their interests closer together,” Blue House Spokesman Kim Eui Kyeom said on August 26. The two Koreas have only agreed to hold the inter-Korean summit in Pyongyang during the month of September. It was expected that the specific date of the summit would be agreed on during a high-level meeting on August 13, but the North did not agree on a date. Chairman of North Korea’s Committee for Peaceful Reunification Ri Son Kwon said, “It is very important that what is blocking the improvement in North-South relations be dealt with quickly so that all issues can be resolved as planned,” and that, “If the issues raised during the inter-Korean meetings and individual meetings are not resolved, then this could lead to unexpected issues and difficulties in resolving the issues as planned.” He demanded that South Korea move forward with inter-Korean economic cooperation, which South Korea has been cautious about due to UN sanctions. However, South Korea is finding itself in a very difficult situation. Its hands are tied when it comes to expanding economic cooperation with North Korea. There has been no progress in denuclearization negotiations and thus no further discussion on softening UN sanctions. Even if the inter-Korean summit goes ahead, the focus will need to be less on economic cooperation and more on achieving progress toward denuclearization first. From North Korea’s perspective, it is unclear whether there will be progress made on their own agenda of economic cooperation. The two inter-Korean summits that occurred earlier this year were both a reflection of North Korean interests. The first summit on April 27 was held as North Korea sought to break its international isolation in the run-up to the US-DPRK summit, and in the process North Korea succeeded in involving China diplomatically. Prior to that breakthrough, North Korea and China had such poor relations that the two country’s leaders had never previously met. 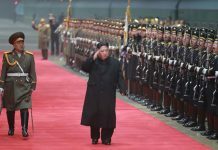 North Korea played on China’s anxiety toward being isolated from events on the Korean peninsula by having Kim Jong Un visit China. In that one stroke, the relationship regained its footing. The second inter-Korean summit on May 26 was also strongly focused on North Korea’s interests. 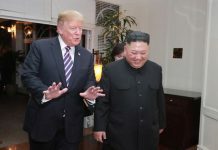 When US President Donald Trump announced the cancellation of the US-DPRK summit on May 24, a flustered North Korea proposed an inter-Korean summit with President Moon on the afternoon of May 25 after Ministry of Foreign Affairs First Vice-Minister Kim Kye Gwan released a statement calling for dialogue with the US that same morning. North Korea wanted to put the troubled US-DPRK summit back on track with the holding of an inter-Korean summit. With so little to gain, will North Korea agree to a third summit? Reflecting on the past two inter-Korean summits, it remains unclear what North Korea stands to gain from a third summit and there are questions as to whether the country will even agree to the next one. Sino-DPRK relations have normalized somewhat and North Korea is no longer as isolated as it was earlier in the year. North Korea will have difficulty “pretending to forget” about the agreement made by the two Koreas to hold the next summit in September, although that alone is unlikely to influence its decision on whether to follow through. September holds important events for both Koreas. In North Korea, September 9 is the 70th anniversary of the establishment of the North Korean government, and there are rumors that Xi Jinping will visit North Korea on that date. South Korea’s president plans to attend the United Nation’s General Assembly in New York in late September. It will not be easy to hold the third inter-Korean summit at any time other than mid-September.